Last Christmas, we received a very cute Christmas card from our relatives in the US. It was their family portrait and we love it! So we thought of doing the same this year. But, the frequent business travels and our truckload of things to do the past weeks made it seem like a project for next year. So when our schedule was free two weekends ago, we were able to squeeze in time for a photo shoot. Yey! We went to The PictureCompany Alabang Town Center and spent our Saturday afternoon with Gee. We made sure Julia had a great meal and sufficient nap prior to our schedule so I was confident we will all have a great time. When I was pregnant with Julia, Don and I made a commitment to document our daughter’s life through photos and videos. We will have wonderful memories stored in our hearts but we want to capture these moments so we can look back and never forget our fun times together. 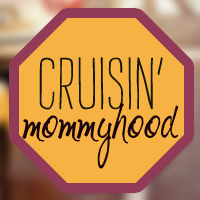 Family-friendly – This is a must. My family, especially Julia, should be comfortable at the location and the studio. Chemistry – The knowledge, skills and creativity in photography is necessary of course, but we need to partner with someone we are comfortable with. Someone who is easy to get along with, pleasant and patient. The moment we meet him/her, we can tell if it will work. I’m sure you know what I mean. Great Deal and Quality – We not only keep soft copies of the photos. We order for prints as well so we look for a package with a reasonable price. The quality of the photos is equally important. Okay, back to our afternoon at The Picture Company – Alabang Town Center. We arrived a little early so Julia walked straight to the play area with Don. This gave me a chance to talk to Gee about my ideas for the photo shoot. My ideas? None!!! Horror! I'm glad Gee gave me suggestions and they have a lot of materials, costumes and props for different themes. Family-friendly location and studio - check! When Julia saw the guitar and other props inside the studio, she went crazy! She just won't stop running and playing -- she is not in the mood to pose for photos. So glad Gee was very patient. She did not pressure Julia at all. She let her feel comfortable and safe. We wanted to start with Julia but later on decided to do the father-daughter first. Julia is such a daddy's girl and she loves to cuddle and have fun with daddy -- this will surely warm her up. It was a fun session! Gee was able to capture a lot of great moments. The problem was (this is a good problem that I would love to have every day), I had a difficult time selecting the photos I want to keep! Great deal and quality - check! It was a well-spent weekend for us. 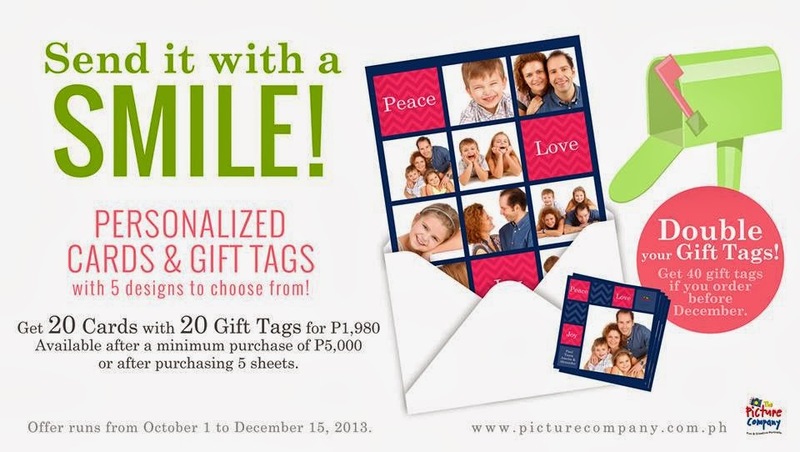 If you want your Christmas cards and tags to be extra special, visit The Picture Company and inquire about the best package for your family. 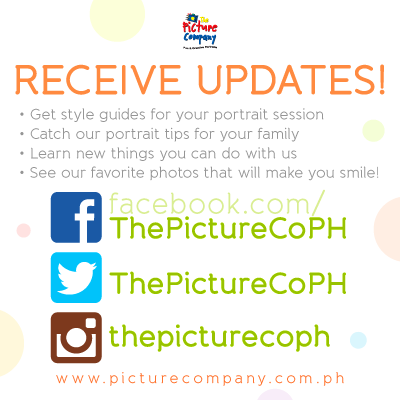 Here's an early Christmas treat for you -- A FREE family portrait session! Print or take a screenshot of the coupon below, call the branch you prefer, book an appointment and show the coupon to the super friendly team of The Picture Company. They have branches in Rockwell, Greenbelt 5, Bonifacio Global City, Podium, Alabang Town Center, SM North Annex, Mall of Asia and Cebu. 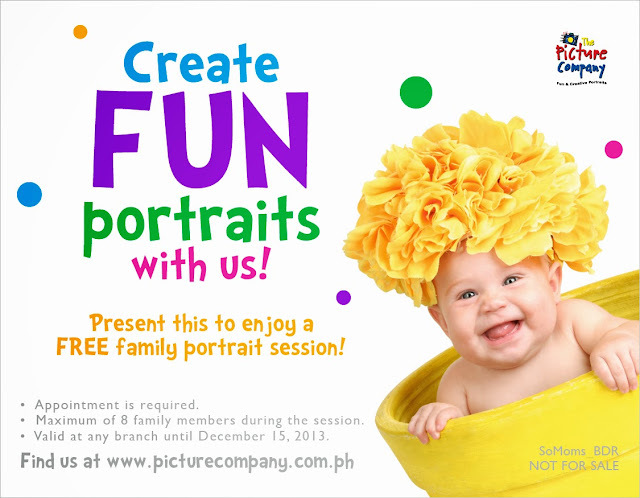 The FREE family portrait promo is only until December 15 so call and book your appointment NOW! 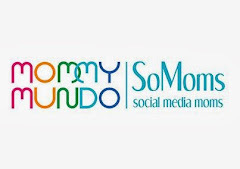 Know more about their promos by following their social media accounts. Thank you The Picture Company for being part of our family tradition!